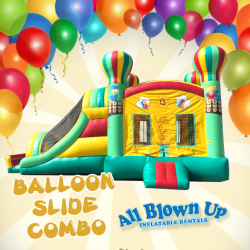 Soar up, up and away in this colorful, fun combo inflatable unit. The Balloon Slide Combo features a spacious bounce area and a slide. 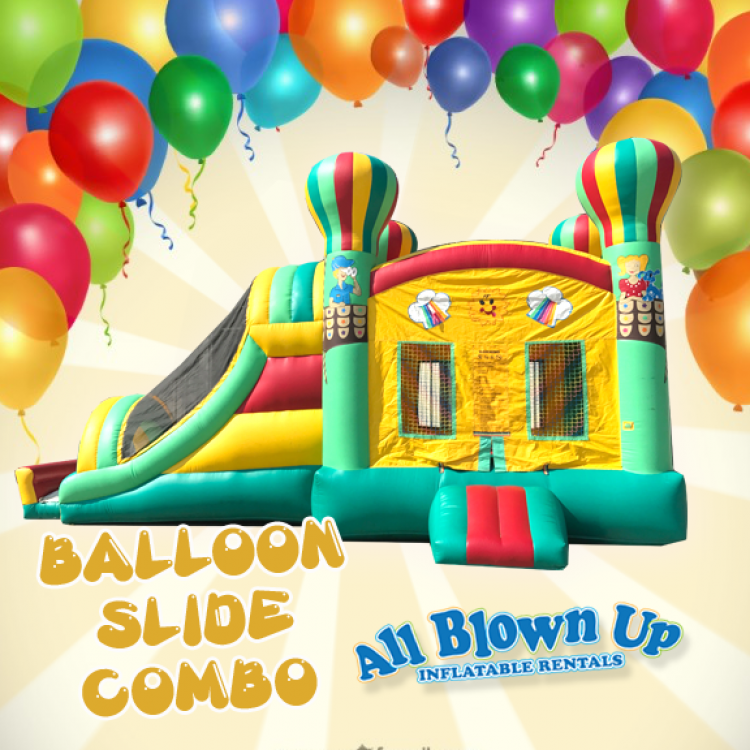 Kids will love the bright colors and the whimsical balloons atop the bouncer!